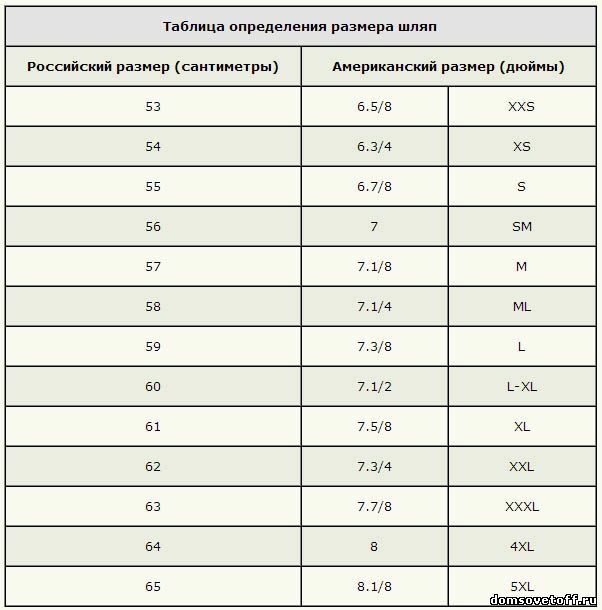 Before you sew or knit any thing, person removable measurements. If our goal is a hat, then we measure, of course, the head. And everything is a little more complicated than result in "inch" as a hit. We will understand how to do it right. Measure the circumference of the head, she's a - line wrap. 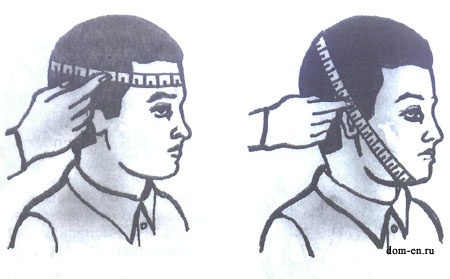 To remove the measurements the tape should go around the head in frontal brain above the ears to the back of the head. The height above the eyebrow should be 1.5-2.5 cm. The resulting number of inches is the size of the headdress. The measuring tape does not need it to be taut when measuring. The plane formed by the tape should be parallel to the floor. After the measurements, refer to size chart hats. If your settings are suitable for the two dimensions, focus on less. First, because the headpiece should sit tight and not to hang out or to fly. Second, if the future of the product is knitted, it is impossible to forget that thread eventually stretched. For sewing to the headdress making another 2 scoops - line longitudinal of the arc and the line of the transverse arc. Line longitudinal of the arc passes from the trough between the ridges to the most protruding point of the head. Sewing the longitudinal length of arc is 3 cm less, that is, the headpiece sits above the brow of 3 cm. Line transverse arc goes side to side through the apical point of the head. This line is also shortened by 3 centimeters, to headdress did not sit on the ears. Circumference of the head measured not only in order to sew the hat. For babies first year of life is one of the regular body measurement. This tape passes through the maximum circumference of the head through the eyebrows in the front and most prominent part of the occiput behind. If tape is used regularly, before each use it must be disinfected with a special solution, and every few months to change to a new one.